Reflecting on this year's entries for the T.S.Eliot Prize Writing Competition, EMC's Barbara Bleiman explores ways of improving the teaching of critical writing about poetry at A Level. For quite a considerable time now, poetry has featured very heavily in the curriculum for KS4 and KS5 English. With the introduction of set anthologies for GCSE English Language, and the testing of critical response in exams, all students in the country have had a substantial diet of poetry reading as a compulsory element of their studies. Critical response has been explicitly taught to pupils. At A Level, where poetry has always been a compulsory element, one might think that this sustained focus at KS4 would have begun to pay dividends, with cohorts of students being more familiar with poetry and confident in their approach to writing about it. By contrast, poetry writing is still a rather neglected aspect of the curriculum. Keen teachers (if they have an appetite for it) may teach poetry writing at KS3 and, in the time-constrained GCSE years, include little creative experiments to sharpen up thinking about set poems. However by and large, being disregarded in assessment has meant that poetry writing has been low down the agenda for classroom work. It is only in the new Creative Writing A Level (soon, sadly, to be abolished) that the writing of poetry (in relation to the reading of it) has become a legitimate focus for serious academic study and assessment. So given this context, one might expect that students at A Level would be writing brilliant critical analysis of set poems, anthology poems and unseen poetry but would be unconfident and unskilled when it comes to writing poems of their own. What has been thoroughly taught in schools must surely be better done than what has been largely ignored? The evidence of the most recent T.S. Eliot Prize Writing Competition for advanced level students suggests something entirely different. Since starting to run the competition in 2006, in collaboration with the Poetry Book Society, truthfully we have been a little bit disappointed, both by the numbers of entries and by the quality of some of what we’ve read. In past years, however, we have always found a reasonable cluster of absolutely excellent pieces of writing, which we have felt able to shortlist without qualms and from which we have chosen a superb winner and runners-up. We have also been able to highly commend an additional batch of high quality student work. Other writing has been disappointing, largely because it has seemed to fall into certain patterns, suggesting that, far from feeling confident in their own skills of analysis and ability to respond authentically to poems, students are delivering analytical approaches that are the opposite of illuminating. This has been surprising to us, given that many of these students are the keenest, most highly achieving young people, at schools where they are likely to be being taught very well. We have noted the issue and put it to one side, judging that there are probably lots of good reasons why writing about poetry is not as well developed as it might be, not least of all the fact that in recent years response to unseen poetry has not featured much and therefore students may well write less well about poems they have not been ‘taught’ than those that they have. This year, however, the plot has thickened. We decided to introduce a second category of poetry writing, in response to selected poems of the shortlisted poets, alongside the original critical rationale. Both would be awarded the same prize. From the very first few weeks of the competition opening we were aware that something very different was happening. Students were entering the poetry writing category within days and a steady trickle of poems arriving in my inbox started to grow as the weeks went on, till it became a flood. I resisted the temptation to look at any of the entries, just noted that the poetry writing category was attracting far more attention than the critical writing. In late December, when the competition closed, we started reading the entries. There were over 120 poems entered, as compared with around 50 critical pieces. We wondered whether we’d be struggling through a pile of poorly crafted poems by students who thought it was the easier option of the two and fancied their chances. Far from it! As we worked our way through the entries, we were staggered by the excellent quality of the poems we read. Sifting the poems into a longlist and shortlist pile was a challenge – so few poems ruled themselves out! In choosing our longlist to send to the PBS judge, Pascale Petit, Chair of the Judges for the Eliot Prize itself, we came to a good agreement. Six stood out. But there were plenty of others that made a very strong case for themselves. One criterion was that they had some kind of genuine connection to the original poem by an Eliot Prize finalist. In the case of all of the shortlisted poems, and many more beyond that, the way the student had chosen to ‘write back’ to the poem showed real engagement with the original, even where they had chosen a radically different form for their own work. You can download all the poems by the winners and runners-up here, along with the poems they responded to. By contrast, we were deeply disappointed by the critical responses. In the end, in agreement with Chris Holifield, the Director of PBS, and Pascale Petit, we agreed not to award a first prize for this category but instead to award two prizes for the poetry writing. There were moments of real quality in individual students’ work, glimpses of original thinking and serious engagement, but no single piece stood up as a really well crafted, well-judged and consistent rationale for a poet’s work. None matched the quality of the best work in previous years. It is quite a thing to come to such a decision and we didn’t take it lightly. But it has raised for us some interesting questions about what has happened this year, questions that perhaps could be turned to good use in thinking about how we teach students about poetry at A Level. What follows are some cautious, speculative comments about what we think is happening, along with some suggestions for what is going wrong in students’ thinking about poetry. First, we wonder whether the students who write most perceptively about poetry are those who also write it. Were the most able critical writers choosing to write poems this year rather than rationales? Last year all that was open to them was the rationale. There is some evidence for this. Winners of the competition in the past have often later revealed themselves to be winners of poetry writing competitions as well. One, Flora de Falbe, is now making a name for herself as a young poet. What are the implications of this? Perhaps there needs to be a greater emphasis in classroom work on reading and writing poetry alongside one another, as two parts of a critical/creative process. If poetry writing informs critical writing, let’s have more of it! Second, we wonder whether the lack of intensive ‘schooling’ around poetry writing, for the most able, has implications for how we teach students to read poetry and write about it. The poems we read were fresh, inventive, committed, serious – the poems by the shortlisted poets had clearly got the students thinking creatively for themselves. By contrast many of the critical pieces suffered from a ‘taught’, formulaic approach. For instance, some had a paragraph of very general, pseudo-philosophical and not very convincing material around what poetry is. Others felt obliged to plunge straight into close analysis of language or form (as if meeting a requirement to tick something off on a list). Many commented on small details without ever trying to come to an overall ‘reading’ of the poems, or trying to convey anything about what they found special or distinctive about that poet’s writing in relation to others. Many went through each poem in turn, without pulling their thoughts together on both in a coherent way. One very disappointing feature of most of the entries was the lack of sensitivity to tone and the lack of attention paid to glaringly obvious aspects of a poem’s form or style. So, if asked to give a snapshot view orally, I’m sure they might say that a particular poem had a bizarre layout, or a weird way of treating the subject matter. But in writing, it was as if they censored out these immediate reactions as invalid, or too obvious. Ironically, if they’d followed through on their instant reactions and trusted them more, they would have been much more likely to get to the heart of what was most interesting about their chosen poems. And another troubling aspect of the entries was the number of students for whom the only judgement of whether a poem is of interest or value is whether it is ‘relatable’. Most of the entries in this category either used this word, or expressed this sentiment, to the exclusion of all others, even where the poems were quite ‘unrelatable’, and where the very strangeness or specificity of the experience described was what made them special. Students did not seem aware that poems can be intriguing, perplexing, thought-provoking, fascinating for the other worlds they take us into, entertaining, troubling, disturbing. As far as they were concerned, they were just relatable or not! The implications of this? We need to encourage students to make genuine responses to what they see before them, rather than responses that they think are expected. We need to make them aware of the huge variety of effects that poems can have on readers and let them discuss what these are in relation to the poems they are studying. Above all else, we think students need to have authentic experiences of reading and writing about poems, in which they are not second-guessing what an examiner might be looking for in a tick-box process. To do this, they could do worse than read critical writing about poetry, whether in the form of short pieces in the broadsheets (such as Ruth Padel’s comments on poems in the Guardian,) or articles in emagazine, by poets, academics, teachers and other students. For many years, EMC has promoted classroom approaches to poetry that develop students’ confidence and understanding of what poetry is and how it works. Personally, I’ve been deeply committed to this aspect of our work. Here’s a summary of some of the key things that we think are important, that we think help to address many of the issues raised above. Write poetry themselves, to get under the skin of the genre and understand what it means to write in a poetic form or forms. This might include writing their own poetry, writing back to poems, textual transformations and other experiments with poetry to understand the choices poets have open to them. 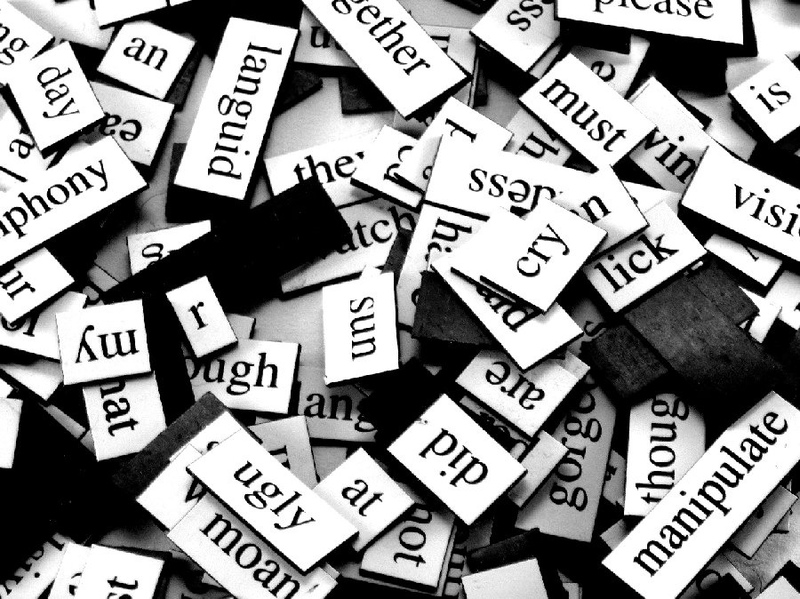 Read adult critical writing about poetry, to develop a sense of the kind of thinking they do and the unique ways in which they engage critically with this particular literary genre. Read widely, beyond the confines of examination specifications, to develop confidence, familiarity and pleasure in poetry.